Today, the Soundbar is one of the most important home theatre items in households around the world. No longer is true surround sound achieved in expensive speaker setups using obnoxious wiring, bulky tabletop amplifiers, and complicated stereo tuners. Soundbar’s offer enhanced amplified stereo sound, convenient portability, and most importantly - affordability. 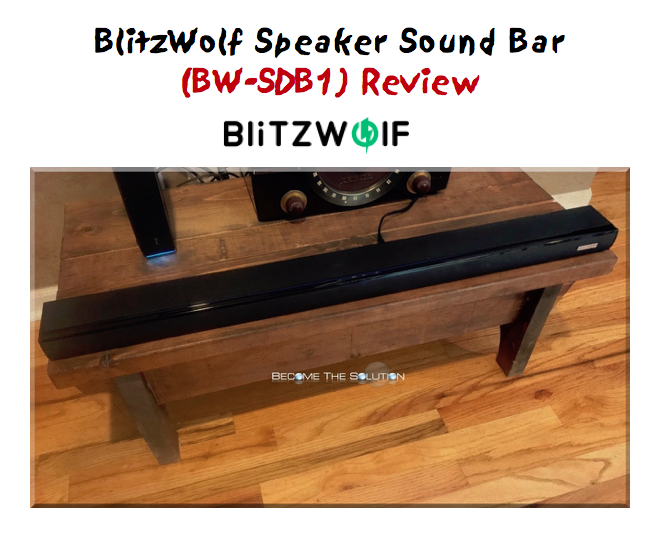 The BlitzWolf BW-SDB1 Soundbar is a step ahead of today’s Soundbars. A few of the many features the BW-SDB1 offers is Bluetooth v4, HDMI ARC (allowing for input/output two-way sound), and 4 preset built-in equalizer effects. Our Soundbar shipped to us in dual boxes with frustration-free packing. It was packed tight and firm, with no loose items inside the box when we received it. 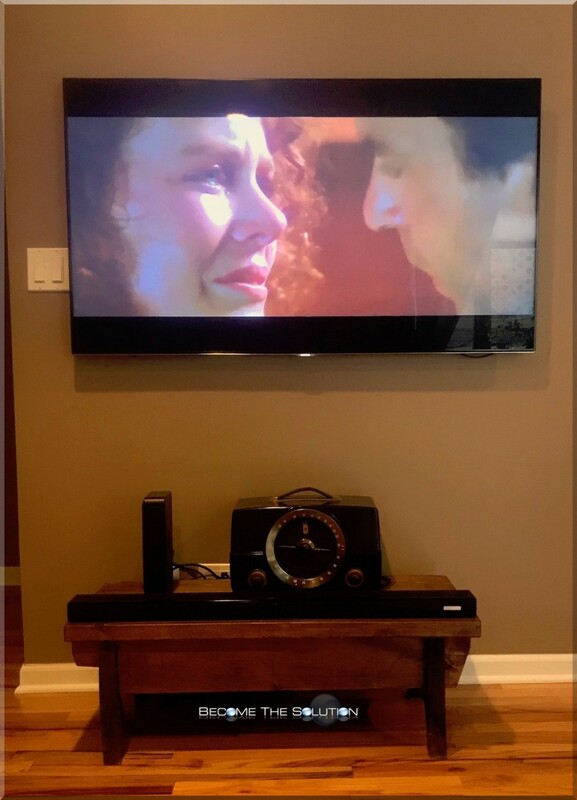 We wanted our Soundbar connected digitally to our FlatScreen TV for best possible sound quality. We loved that our Soundbar came with an optical audio cable. Most Soundbars purchased in stores and online require you to purchase audio connections separately – so this saved us time and money. Connecting the Soundbar to our flat screen TV was simple. After connecting the optical connections, we had to change our TV digital input sound preference to PCM from digital. Finally, we set the SOURCE from the remote to OPTICAL and in instantly we had crystal clear surround sound! The SOURCE input selections are each color coded so you know the source you are on. Next, we selected an Equalizer effect (EQ) for the program we had on. Each EQ effect speaks itself, so you know which effect you are using before applying it to the sound output. The sound bounces off the walls of the room you are in (depending the size of the room) and makes for a true surround sound experience. One of our favorite features of the BW-SDB1 is Bluetooth functionality. We use our Soundbar in our living area. When we have guests over, we instantly connect to our Soundbar with our iPhone to stream music! This convenient feature makes our Soundbar really feel like a complete home stereo system. For more information, visit the official BlitzWold website. One drawback of the BW-SDB1 is the ability to control the unit using the TV remote. On some Smart TV’s today, you have to put the TV in speaker out mode when using it with a Soundbar, which forces the TV audio to be completely controlled by the external audio device. Some TV manufactured Soundbars allow you to use the same remote for controlling the volume.